The purpose of this project was to trace some of the characteristic features of the early modern experimental philosophy in the natural historical investigations of the late sixteenth century, more precisely, into what we have called “research-oriented natural history.” During the past six years, our team has investigated a diversity of natural historical writings ranging from cosmography to medical natural histories and from diverse collections of ‘individuals’ to topical investigations of natural phenomena. The project was coordinated by Dana Jalobeanu and financed by the CNCS (PN-II-ID-PCE-2011-3-0719;contract no. 294/ 2011). We began in 2012 with a plan for three years and a team of seven members. Meanwhile, the project turned into a six-year research project with a team fluctuating from 4 to 6 members and a number of associated researchers and students. Our activities included a regular research seminar, the organization of the weekly history and philosophy of science (CELFIS) seminar in the Department of Philosophy, the organization of the yearly Bucharest Colloquium in Early Modern Science, the organization of the Bucharest Graduate Conference in Early Modern Philosophy. Our team’s members have also proposed and organized optional courses. Some of these activities were directed towards encouraging young researchers and graduate students to engage in inter-disciplinary, high-quality research. Our six-year investigation into early modern forms of natural history has reached, in many ways, far beyond its initial goals. We have managed to introduce into the scholarly debates new historiographic categories, and we have put them to work on a growing number of case-studies. The concept of research-oriented natural history (Jalobeanu 2014b, 2015a, 2015b), as well as that of “Senecan natural histories” (Jalobeanu 2012, 2015a) are already used by international colleagues in their analyses of early modern forms of experimental philosophy (Garber 2014, Van Dyck and Vermeir, 2014, Lawson 2014, Scott, 2016). Similarly, what has been recently called the “Bucharest interpretation of Bacon,” i.e, the interpretation centered on Bacon’s methodology (art) of experimenting is increasingly cited in the literature (Giglioni, 2014, Garber, 2014, Schwartz, 2014, Selcer, 2014, Cardenas-Baretto, 2015, Silver, 2015, Park, 2016, Giglioni, 2016, Anstey and Vanzo 2016, Vanzo, 2016, Feingold, 2016). Since 2012, the members of this project have published 12 articles in leading journals, 13 articles in other journals (BDI) and 9 book chapters; and some of our work is currently cited by colleagues across the world (see citations below). We have published one book, two editions, one PhD thesis, and we have finished and submitted to the publisher two other books. We have managed to disseminate our results not only by publications, but also by initiating various international short-term and long-term collaborations. The fruits of these international collaborations can be easily seen if we take into considerations the fellowships, grants and jobs the members of our teams got in the past two years. Our initial group, based in Bucharest is now, six years after the beginning of the project, working in various research centers across the world (Princeton, Groningen, Ghent, Karlsruhe). This, I think, is a convincing proof of the success of our research. 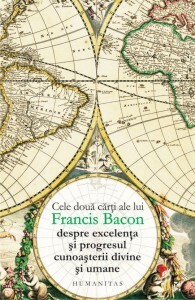 Our team completed the first Romanian translation of Francis Bacon’s Sylva Sylvarum (London: 1626). Bacon’s Sylva is a representative collection of observations and experiments characteristic for seventeenth century Baconian natural (and experimental) history. Published posthumously and extremely popular among the proponents of the “new science,” Sylva can be read as a “laboratory textbook”, an interesting interplay of humanism, commonplace methods of reading and writing, natural historical observations, experimental reports and recordings of hands-on experimental investigations. It was never translated (into any modern language) and in rendering it into Romanian we are not so much translating as learning to understand and interpret this extremely difficult and challenging text. 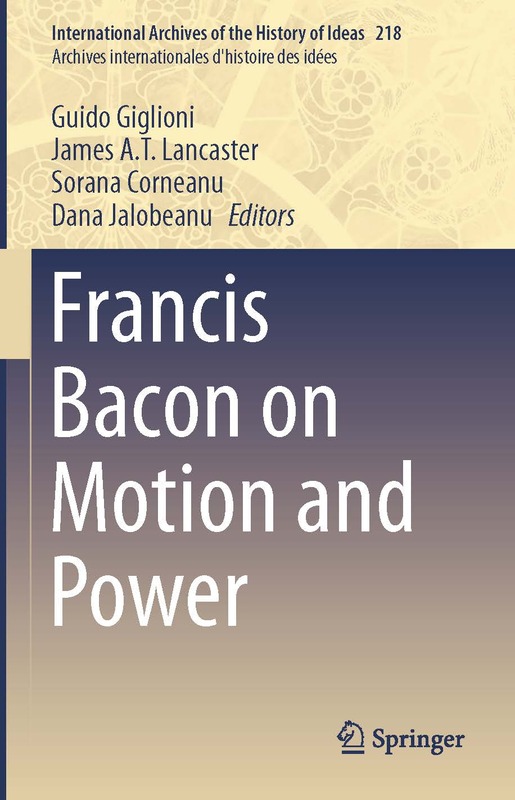 This translation has a very important research component, since we are talking about one of Bacon’s works which did not get, so far, a modern edition. Sylva Sylvarum, or a natural history in ten centuries was published posthumously in 1626 and constituted, in many ways, Francis Bacon’s magnum opus. It was one of his most popular books until well into the eighteenth century, and went through a large number of editions in English and Latin throughout the seventeenth century. However, the changing tides of Baconian scholarship which brought Novum Organum to the fore of academic interest in the nineteenth century have thrown Sylva Sylvarum and the other natural histories into disrepute. This is the main cause why, to date, we are still working with an outdated nineteenth century edition of the work. In the past ten years, the editorial team of The Oxford Francis Bacon has initiated the project of a modern critical edition of the Sylva Sylvarum; but their work is far from completion. In our work of translating and annotating Sylva we have initiated an extended collaboration with the team in charge of the Oxford Francis Bacon volume of Sylva Sylvarum (co-ordinated by Guido Giglioni) and with the French team preparing a French translation of Sylva Sylvarum (co-ordinated by Claire Crignon). We took part in several workshops and organized a number of international meetings in Bucharest (see the list on our web-site). Collaborative research in this direction will continue even after the end of the project with meetings in London (Dec. 8, 2016) and Paris (Feb. 23, 2017). Mihnea Dobre. 2016. Experimental Cartesianism and the Problem of Space. In Boundaries, Extents and Circulations. Space and Spatiality in Early Modern Natural Philosophy. eds. Koen Vermeir and Jonathan Regier (Dordrecht: Springer). Jalobeanu. 2016. Borders, ‘leaps’ and ‘orbs of virtue:’ A contextual reconstruction of Francis Bacon’s extension-related concepts, In Boundaries, Extents and Circulations. Space and Spatiality in Early Modern Natural Philosophy. eds. Koen Vermeir and Jonathan Regier (Dordrecht: Springer). Dana Jalobeanu. 2016. Disciplining experience: Francis Bacon’s experimental series and the art of experimentation, Perspectives on Science, 24 (3): 324-342. Dana Jalobeanu. 2016. The marriage of physics with mathematics: Francis Bacon on measurement, mathematics and the construction of a mathematical physics. In Language of Nature. Reassessing the Mathematization of Natural Philosophy in the Seventeenth Century. Eds. Geoffrey Gordon, Benjamin. Hill, Edward Slowik and Kenneth Waters , Minnesota Studies in Philosophy of Science, 51-81. Doina-Cristina Rusu. 2016. Rethinking Sylva Sylvarum: Francis Bacon’s Use of Giambattista Della Porta’s Magia Naturalis. Perspectives on Science. 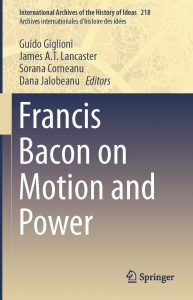 Dana Jalobeanu, Bacon’s apples: a case study in Baconian Experimentation, in Francis Bacon on Motion and Power. Eds. Guido Giglioni, James Lancaster, Sorana Corneanu, Dana Jalobeanu, Springer: Dordrecht, 83-113. Mihnea Dobre. Metaphysics and Physics in Descartes and Early French Cartesian Natural Philosophy. ZetaBooks, forthcoming 2017. Dana Jalobeanu. The Hunt of Pan: Francis Bacon’s Art of Experimentation and the Invention of Science, Zeta Books, forthcoming, 2017. Dana Jalobeanu. Rewriting Francis Bacon’s Natural History: Pierre Amboise’s translation of Sylva Sylvarum, special issue of Intersections: Interdisciplinary Studies in Early Modern Culture, edited by Raphaele Fruet (et. all), Brill, forthcoming 2016. Doina-Cristina Rusu. Manipulating matter and its appetites: Francis Bacon on causation and the creation of preternatural. In Contingency and Natural order in Early Modern Science, eds. Pietro Daniel Omodeo and Rodolfo Garau, Boston Studies in the Philosophy and History of Science, Springer, forthcoming 2016. Doina-Cristina Rusu and Christoph Lüthy. 2016. Extracts from a Paper Laboratory. The Status of Francis Bacon’s Sylva Sylvarum. Intellectual History Review, forthcoming 2016. Dana Jalobeanu. 2015. The Art of Experimental Natural History: Francis Bacon in Context, Zeta Books: București (2015), ISBN: 978-606-8266-92-3 (ebook), ISBN: 978-606-8266-93-0 (paperback). Dana Jalobeanu, Doina Cristina Rusu (eds). 2015. Cosmologie filosofica-texte fundamentale. Vol. I Renașterea și modernitatea timpurie, Editura Universitatii din Bucuresti, ISBN: 978-606-16-0629-0. Oana Matei. 2015. Husbandry Tradition and the Emergence of Vegetable Philosophy inside the Hartlib Circle. Philosphia. International Journal of Philosophy 16 (1): 32-52, ISSN: 2244-1875 (Print); ISSN 2244-1883 (Online). Mihnea Dobre. 2014. Considerații despre filosofia experimentului în perioada modernă timpurie. Revista de Filosofie 61 (6), 2014, 631-642. Mihnea Dobre. 2014. Mixing Cartesianism and Newtonianism: the reception of Cartesian physics in England. In Gianna Katsiampoura (ed. ), Scientific Cosmopolitanism and Local Cultures: Religions, Ideologies, Societies. Proceedings of 5th International Conference of the European Society for the History of Science, National Hellenic Research Foundation/Institute of Historical Research, Athens 1-3 November 2012. Athens, 2014, pp. 126-131. Dana Jalobeanu. 2014. A Natural History of the Heavens: Francis Bacon’s Anti-Copernicanism. Chap. 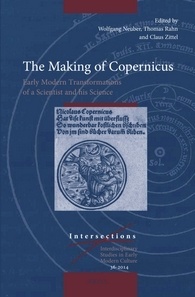 3 In The Making of Copernicus, edited by Wolfgang Neuber, Thomas Rahn and Carl Zittel, 64-87. Leiden: Brill. Dana Jalobeanu. 2014. Constructing natural historical facts: Baconian natural history in Newton’s first paper on light and colours, in Zvi Biener, Eric Schliesser, eds. Newton and Empiricism, Oxford: Oxford University Press. Dana Jalobeanu. 2014. Elements of natural history in Sidereus nuncius. Revue Roumaine de Philosophie 58 (1): 55-77. Dana Jalobeanu. 2014. The French reception of Francis Bacon’s natural history in mid seventeenth century, in Elodie Cassan, ed. Bacon et Descartes: Genese de la modernite philosophique, Editions ENS Lyon. Doina-Cristina Rusu. 2014. Abolishing the Borders between Natural History and Natural Magic: Francis Bacon’s Sylva sylvarum and the Historia vitae et mortis. Societate și Politică 8 (2), 23-42. Doina-Cristina Rusu. 2014. 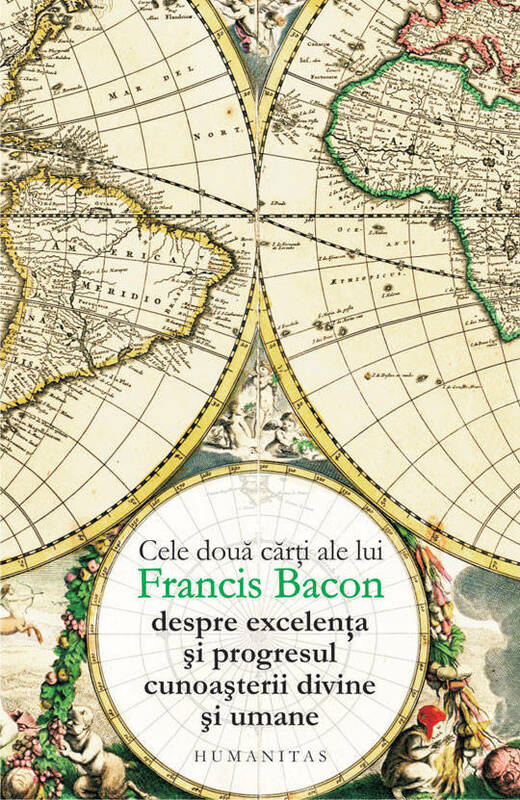 Critica autorității și folosirea surselor: Francis Bacon despre compilarea istoriilor naturale. In Etica cercetarii si drepturile de autor, ed. Constantin Stoenescu, Editura Universitatii din Bucuresti, pp. 47-84. Mihnea Dobre. 2013. Knowledge and Certainty in the Foundation of Cartesian Natural Philosophy. Revue Roumaine de philosophie 57 (1): 95-110. Mihnea Dobre. 2013. On Glass-Drops: a case Study of the Interplay between Experimentation and Explanation in Seventeenth-Century Natural Philosophy. Journal of Early Modern Studies 2 (1):105–124. Claudia Dumitru. 2013. Crucial Instances and Crucial Experiments in Bacon, Boyle, and Hooke. Societate si Politica 7 (2013) 45-61. Dana Jalobeanu. 2013. Four idols of Baconian scholarship, in Procedia: Social and Behavioral Sciences 71: 123-130, Elsevier, proceedings of International Workshop on the Historiography of Philosophy: Representations and Cultural Constructions 2012. Dana Jalobeanu. 2013. Francis Bacon, Early Modern Baconians and the Idols of Baconian Scholarship: Introductory study, Societate si Politica 7 (2013) 5-28. Dana Jalobeanu. 2013. Learning from experiment: classification, concept formation and modeling in Francis Bacon’s experimental philosophy. Revue Roumaine de philosophie 57 (1): 75-93. Oana Matei. 2013. Macaria, the Hartlib Circle, and Husbanding Creation.Society and Politics (Societate şi Politică)7 (2/ 14): 7-33. Sebastian Mateiescu. 2013. Philip Melanchthon and the concept of universal experience. Revue Roumaine de philosophie 57 (1): 111-131. Oana Matei. 2013. Letters by Early Modern Philosophers, co-edited with Filip Buyse. Society and Politics (Societate şi Politică)7 (2/ 14). Jalobeanu, Dana and Cesare Pastorino, eds. 2014. Instruments and Arts of Inquiry: Natural History, Natural Magic and the Production of Knowledge in Early Modern Europe. Vol. 3:2, Journal of Early Modern Studies. Bucharest: Zeta Books. Claudia Dumitru. 2014. Society & Politics, vol. 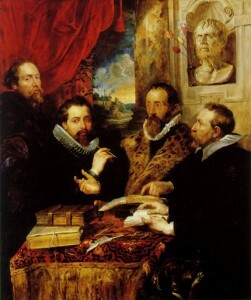 8, no 1 (The Quest for Certainty at the Crossroads of Science, Religion, and Philosophy in the Early Modern Period). Doina-Cristina Rusu. 2014. Natural history, Natural magic and the emergence of experimental philosophy. Special issue of the Society and Politics (Societate si Politica), Vol. 8, no. 2. 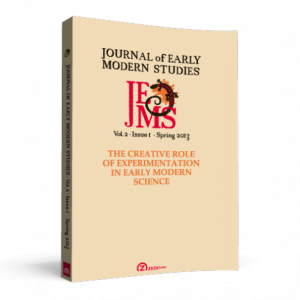 Dana Jalobeanu has edited a special issue of the Journal of Early Modern Studies: The Creative Role of Experimentation in Early Modern Science with papers by Cesare Pastorino, Benedino Gemelli, Claudio Buccolini, Delphine Kolesnik, Laura Georgescu, Mihnea Dobre, Jonathan Regier. A special issue of Perspectives on Science 20 (2) 2012: Francis Bacon and the Medicine of the Mind: Late Renaissance Contexts. Edited by Sorana Corneanu, Guido Giglioni, and Dana Jalobeanu. A special issue of Early Science and Medicine 17 (1-2) 2012: Francis Bacon and the transformation of early modern natural history. Edited by Sorana Corneanu, Guido Giglioni, Dana Jalobeanu. Dana Jalobeanu, Idolatry, Natural History and Spiritual Medicine: Francis Bacon and the Neo-Stoic Protestantism of the Late Sixteenth Century, Perspectives on Science, 21: 2012: 207-226. 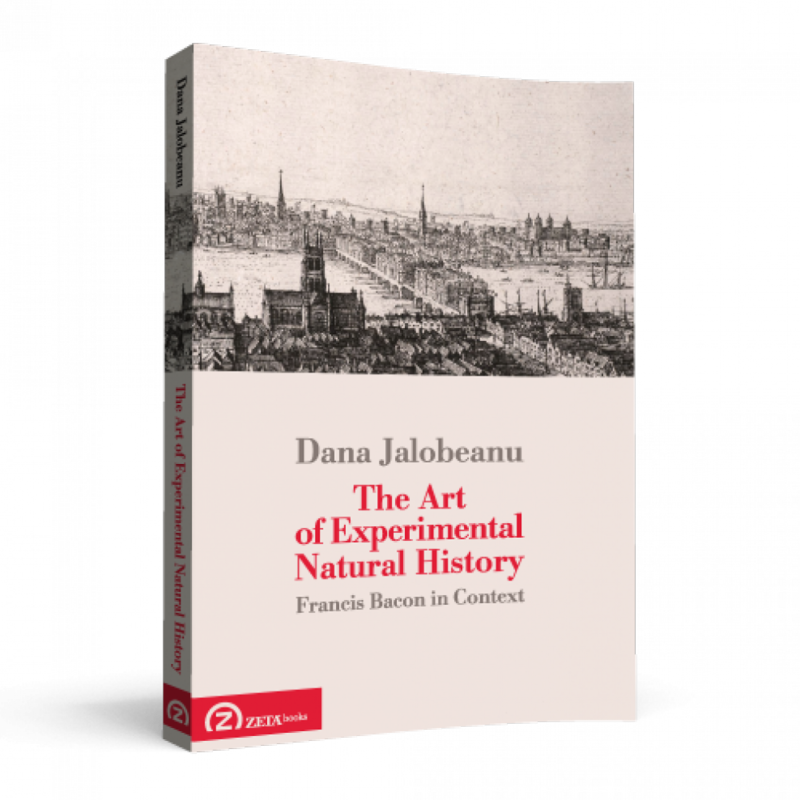 Dana Jalobeanu, Francis Bacon’s natural history and the Senecan Natural Histories of Early Modern Europe, Early Science and Medicine, 17: 1-2, 2012, pp. 197-229(33). Mihnea Dobre. “Rohault’s Traité de physique and its Newtonian reception” in ROCA-ROSELL, A. (ed.) (2012). The Circulation of Science and Technology: Proceedings of the 4th International Conference of the ESHS, Barcelona, 18-20 November 2010. Barcelona: SCHCT-IEC. ISBN: 978-84-9965-108-8, pp. 389-394. Mihnea Dobre. “Early Cartesianism and the Journal des Sçavans, 1665-1671,” Studium, vol. 4, no. 4 (2011): 228-240.